We speak to new Rackspace CMO Mark Bunting about his new role. Rackspace has gone through a number of changes over the past few years. From seeing the rise of public cloud operators (Google, Amazon, Microsoft) that threatened its business to going private, the company that was for very long associated with premium website hosting has had to reinvent itself. Mark Bunting was chosen to be the guy to guide $2bn, two decade old company, into a new era of accelerated growth and new challenges. You have worked with some of the world’s leading tech companies such as SkyTV and also as a TV personality. Why did you choose to join Rackspace? Honestly, when I was serving as interim CMO at Rackspace, I was floored when I saw the scale of the opportunity here. Externally, we have an exploding market in cloud services and internally Rackspace has the broadest collection of expertise and experience anywhere in the industry. I have worked at many great companies in my career but the assembly of leadership talent at Rackspace combined with the opportunity to help re-engineer this respected and loved brand was the proverbial “offer you can’t refuse”. If you spend time at Rackspace then you know how easy it is to fall in love with the company’s incredible culture. The talent that works alongside this broad portfolio of technology solutions is unique to the industry. I have previously been a Rackspace customer myself and was personally familiar with the company’s 20-year legacy for delivering a fanatical customer experience. But experiencing it from the inside and the opportunity to export that reputation for putting “customers first” in a much bigger way was hard to pass on. Also, Rackspace’s commitment to driving innovation in the professional services space was a huge motivator for me as I see our future in far more consultative services. As we move up the stack technically (and with regard to C-suite and executive level decision-makers),the Rackspace of tomorrow was a wonderful fit with my experiences and passions. The decision to become a permanent ‘Racker’ and the opportunity to define the new Rackspace is quite an honour. How is the company helping businesses navigate the cloud computing marketplace? Rackspace is in a strong position to guide businesses on their transformation journey through our partnerships with providers such as Amazon Web Services, Microsoft, Google and VMware among others. We are unique in that we can advise businesses on public and private cloud platforms, as well as managed hosting and colocation. We also make it easier for companies to leverage complex business applications, databases, and security systems, through partnerships with providers such as Oracle, SAP, and Salesforce. The possibilities are endless, since we continue to add new capabilities and ensure that our customers are up to date with the new technologies and services available to them. I think the breadth of our experience at Rackspace helps us to quickly identify our customers’ needs, and our deep expertise means that we always find the best and most suitable technologies to fulfil these requirements. Some of our competitors offer a one-size-fits-all solution, but that is just not how we work – it’s all a part of our desire to offer fanatical customer experiences. We go into companies to figure out exactly how to personalise their IT transformation to better achieve their business goals. 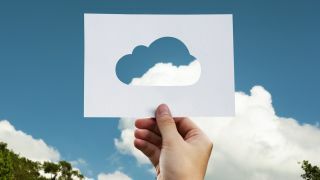 With more and more businesses opting for multi-cloud solutions, Rackspace is the industry frontrunner for assisting businesses with their cloud platform maintenance. The business is known for its strapline: Fanatical support. How do you do it? Rackspace is special because we have a customer service team available 24-hours a day, seven days a week, 365 days of the year – there are no exceptions. If a customer is unhappy, or if there is a problem with their cloud platform, our dedicated team can react quickly to minimise disruption to the day-to-day running of their business. As a businessman myself, I can appreciate how vital it is to maintain the smooth running of general operations, and this is why I believe so strongly in Rackspace’s approach. We have a maximum 15-minute response time for customer requests, and we prioritise based on the urgency of the enquiry. If a business has a particularly critical action that requires a response, such as a network glitch or a suspected hack, we can fix this almost instantly. How is Rackspace evolving to reflect changing customer demands? We are evolving in terms of the type of customer we are targeting, focusing more of our sales and marketing efforts to customers in the wider enterprise and midmarket segments. We ensure that everything Rackspace delivers continues to increase in its value, and I think our progress is reflected by the types of customers we serve – a majority are large organisations in the Fortune 100. Customers in the midmarket segments don’t want to buy just a single product, as they have done in the past. They now find themselves seeking a trusted partner who can assist with a wider range of IT needs, regardless of how far they have progressed with their digital transformation. This is where our continuous evolution is so vital because many of our customers, in fact, come to us wanting assistance with this digital transformation process. By training our veteran Rackers and expanding our global presence, Rackspace’s services and expertise are able to continuously evolve. Our acquisition of Tricore last summer expanded our capabilities in the management of enterprise applications – a huge demand from our larger customers. However, our evolution is not only limited to broadening our skillset, but developing the depth of these skills. For example, we are constantly adding to our capabilities in digital security, ensuring that our security offerings are at the cutting edge of industry expertise. What’s on the horizon for Rackspace? We’re focused on developing our offerings in the areas of automation and machine learning. These will be crucial capabilities for us to develop an even better and more-consistent customer service provision. Rackspace is committed to growing itself organically, but we will also be open to acquisitions in areas such as global expansion and application management. In particular, our professional services division is experiencing incredible growth at a triple-digit rate, so recruitment in that area is a key focus too. We’re currently receiving about 50 submissions a week for professional services proposals, so our recruitment potential is huge and is something I am incredibly excited about. How do you envisage the acceleration and transformation of the Rackspace brand? The transformation of the Rackspace brand is continuing alongside our founding ethos that has remained the same for the last 20 years: to help drive business growth through digital transformation with our customers outcomes as the priority in everything we do. I feel that a great part of my role is to communicate this and educate the market about the full-service offering that Rackspace provides for customers. It is my personal goal to shout about the Rackspace brand, placing it at the front of the minds of business leaders – particularly those with organisations undergoing digital transformation – which for the record is EVERY business. I’m aiming to achieve this through a mix of thought leadership exercises, hand to hand activities at industry events, and getting our experts out in the field talking to businesses one on one. I truly feel it is imperative that we communicate our customer stories clearly and with passion in order to refine Rackspace’s own brand narrative. Not only will we be partnering with agencies to refine our brand story and go-to-market proposition, but we’ll also be investing in peer-to-peer engagements to showcase the fanatic experiences that we have created for our customers. You’ve shown extensive experience in this area within your mentoring role at Capital Factory, where you have been advising start-up businesses. What do you think are the key learnings large enterprises can take from start-ups? The immediacy and heightened sense of urgency that is a natural by-product of sink-or-swim start-ups is the secret sauce that provides for innovation and agility. Big and clunky enterprises can’t improvise with the speed and refinement of a smaller player. Larger organisations must adopt cultural behaviours that reward risk and real time augmentation. This promotes a spirit of “change” and when reward structures are properly set, it incentivises success in a way that individual contributors and leaders can model for peers.